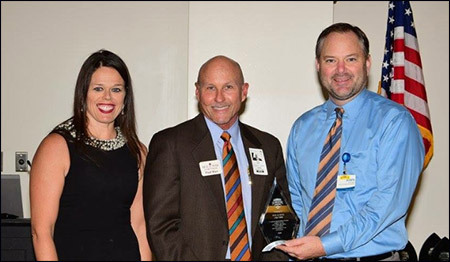 Paul Rice (middle), managing partner of the Rice & Rose Law Firm, accepted a sponsorship plaque from John Guthrie, Director Corporate Communications for Halifax Health, and Myca Lill, of the Volusia Flagler YMCA, at the Live Your Life Well Champions Breakfast at Halifax Health Medical Center on January 6, 2016. Rice & Rose sponsored last year's series and agreed to again sponsor it in the 2016. The Rice & Rose Law Firm is committed to being a good corporate citizen by supporting our community and promoting healthy families. 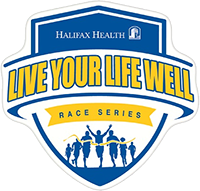 For information about the 2016 Halifax Health/YMCA Live Your Life Well Series and its 19 various events, click on the following link: http://liveyourlifewellraceseries.com/.